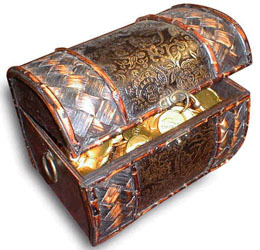 Other Info: Also known as "Minato no Traysia" as well as "Minato no Treasure". 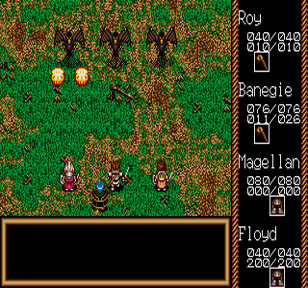 Are you looking for good English Genesis RPGs besides Phantasy Star 2-4 and the Shining series (though Shining Force 1 & 2 are strategy-RPGs)? Well, Traysia is one of several odd Genesis releases to make it stateside, but in terms of quality...you may have to keep looking. 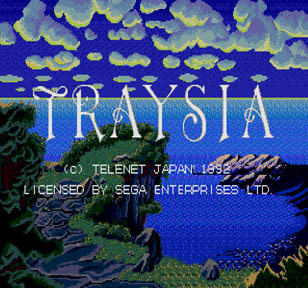 When I was looking for RPGs besides Phantasy Star, I heard of Traysia. Doing some research on it, Traysia became a title I was looking forward to with a great sense of antipidation. However, once I played it, one thing became apparent to me. 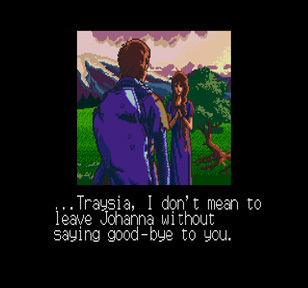 Traysia is barely playable...and it's one of the worst RPGs released on the Genesis. I wish I was kidding, but I'm not. Some may like it, but most will find better games to play. What is it that makes Traysia such an objectionable game? 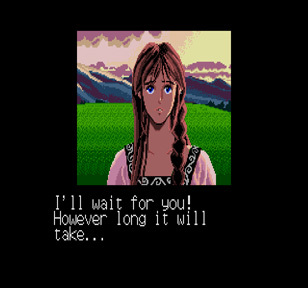 I feel that the worst aspect of this game is probably its terrible translation and poor storytelling. Traysia's story focuses mostly on four particular characters: Roy, Banagie, Floyd/Froid and of course, Traysia, Roy's childhood sweetheart. While you have two other characters (Magellan and Bellenue) that are part of your active party, they don't move the story in a way that is meaningful. 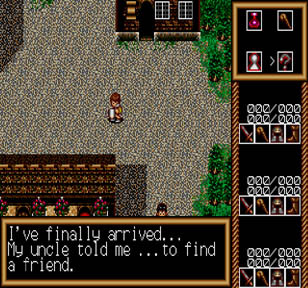 Since I don't want to spoil the plot, you travel the land in search of adventures and you end up saving the land from a wizard trying to achieve a dark plan through his diabolical scheme. There are several events in-between, but the dialogue is as dry as the desert with only a few exceptions. 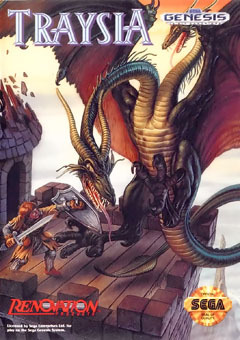 While most older RPGs didn't have scripts worth drooling over (though they are good for their time), Traysia's script almost insults my intelligence. It may not seem like it at a glance, but beauty is only skin deep. While I've played some poorly translated games in my time, they usually came off as being comically bad, but this game is almost lifeless, making things of this nature seem a bit more severe. The graphics, sound and gameplay are certainly nothing to write home about. They are average at best, and I'm being RATHER generous in saying so. 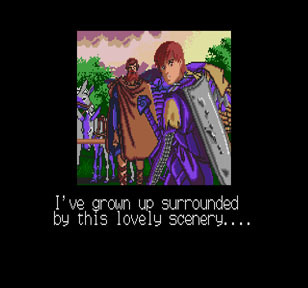 One of the few highlights of the game in my humble opinion is the nice anime cutscenes, though they are recycled repeatedly throughout the game. The game has numerous bugs such as doing a job where you earn lots of gold, only to keep talking to the guy and getting more gold due to poorly implemented switches to invisible conversation points and more! The game also becomes way too easy due to a bad item equipment system that allows any character to wear as many accessories as they can carry. The magic system is fairly impractical with Bellenue's magic being completely useless...and she's meant to be the mage! While these things might be bad enough and nobody says you have to exploit a game for its faults, there are far better RPGs out there. Long story short, I'm not telling you not to buy the game, but if you want my opinion, you can certainly live without it.